Happy Friday everyone! 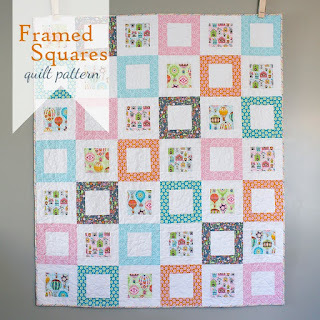 Today I have a quilt tutorial to share with you! 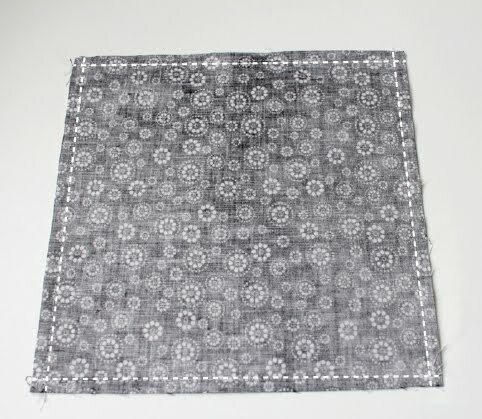 I made this quilt using just the black and white prints from Carina Gardner's Evening Blooms fabric line. I love the bold florals in Evening Blooms and when mixed with the geometric prints it’s the perfect combination. It was so fun to design a quilt that focuses mainly on the value of a fabric (lightness / darkness). 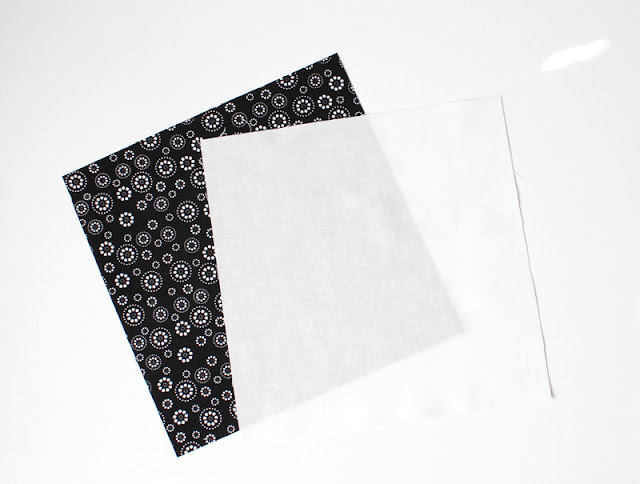 This pattern works well with prints that have a high contrast to one another, and there’s just something so classic about black and white! 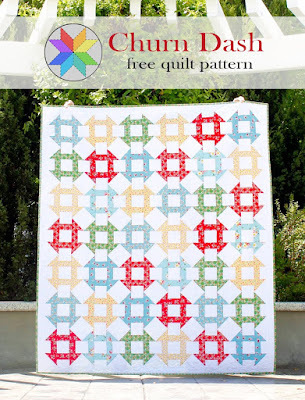 This quilt is made entirely from half square triangles (HSTs) but don't let that deter you! 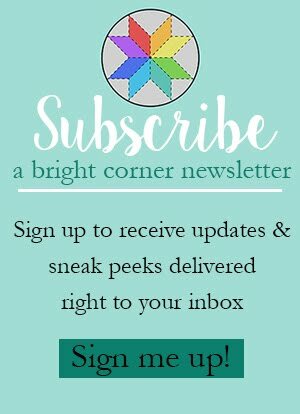 I have a fast and easy way to make a ton of HSTs in no time at all. 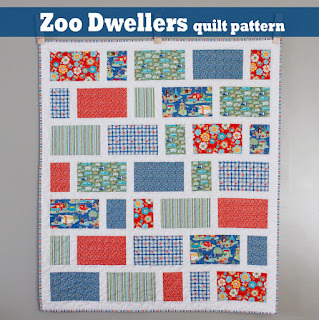 If you'd prefer a handy printable version of this tutorial you can find it here on Craftsy. Let's get started! From each of the prints (7 dark and 5 light) cut 3 squares that measure 8". You'll need 36 total. 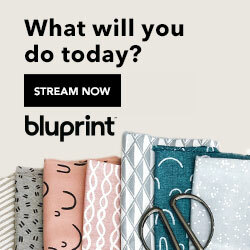 To create your half square triangles, pair up each print square with one white square. Match edges, keeping right sides together. Sew around all four outer edges using a consistent 1/4" seam. Using your rotary cutter, cut diagonally through each block twice as shown in the photo. Being careful not to stretch it, press each HST. I prefer to press the seam allowance toward the print. Trim the little tails off of each HST. If you are consistent with your seam allowances and careful to not stretch the HSTs you should not need to square them up. 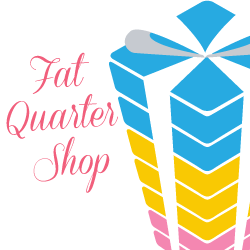 If you find your HSTs to be varying in size, then square them each up to the same size (either 5.25" or 5" each). 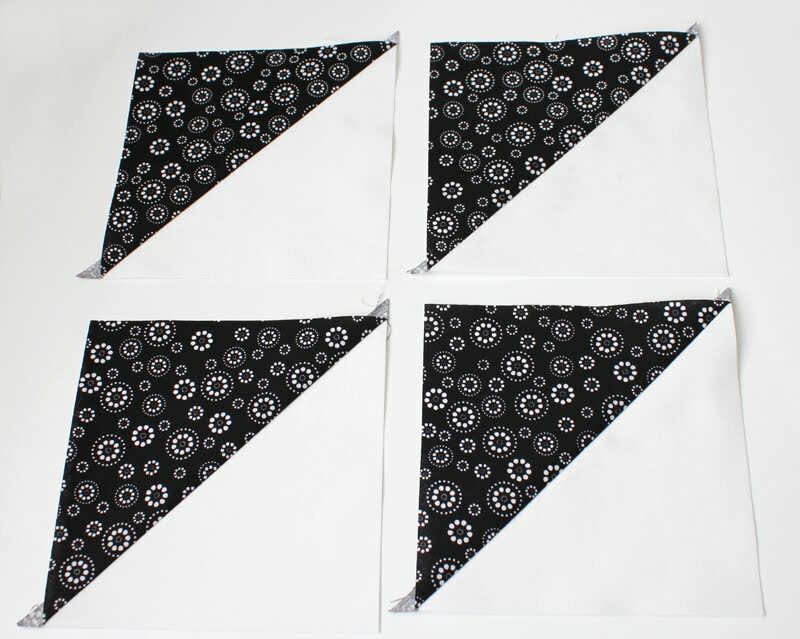 Create all of your HSTs and then move on to the block layout. 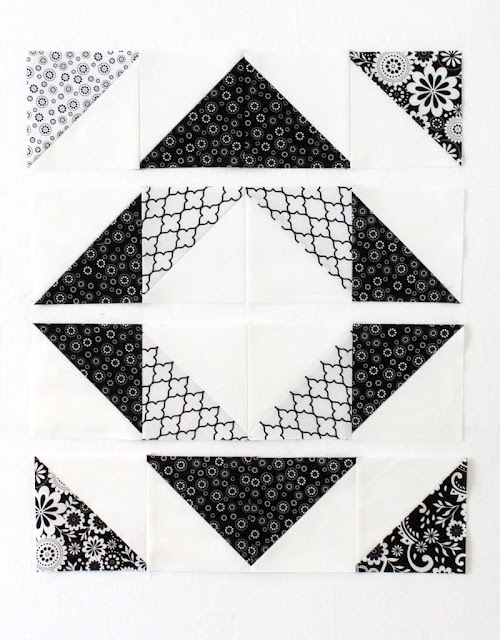 Layout all of the HSTs you need for one block. Notice in the quilt layout diagram at the end of the tutorial that not all blocks are the same. The dark and light prints are alternated for the main part of each block and the corner HSTs are different depending on where in the quilt the block will be located. 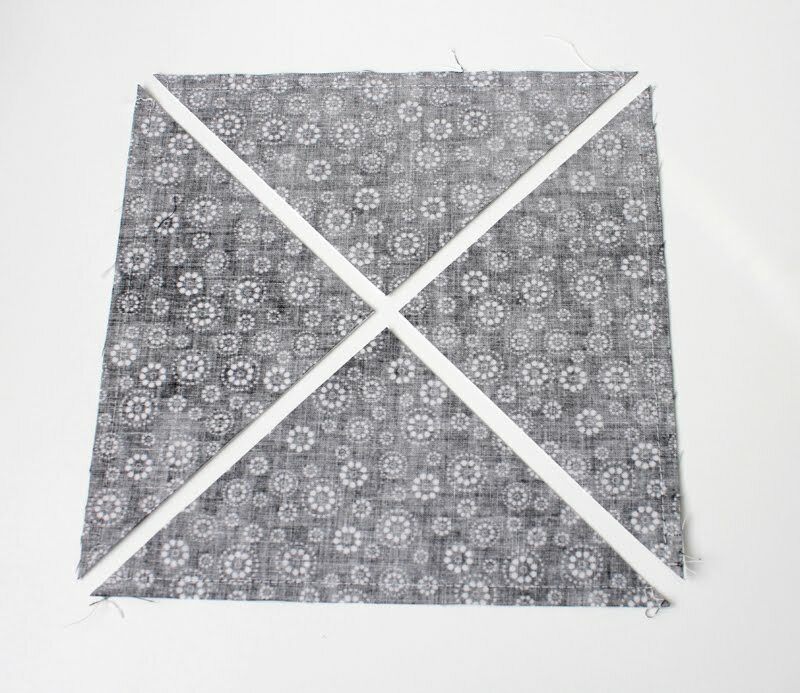 Sew HSTs together into rows using a 1/4" seam. Then sew rows together, matching seams. Press your block. Your block is done! Now use the layout diagram to make the next 8 blocks. In the layout diagram I used just two prints - one dark and one light so you can clearly see the placement of each HST. This quilt will measure about 57" x 57". 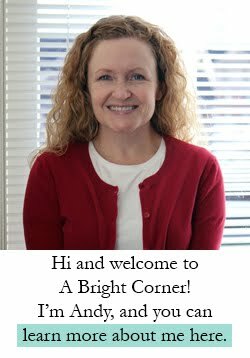 Want to see more tutorials from A Bright Corner? Check these out! Click on the photo to view tutorial. Thanks for the tutorial! 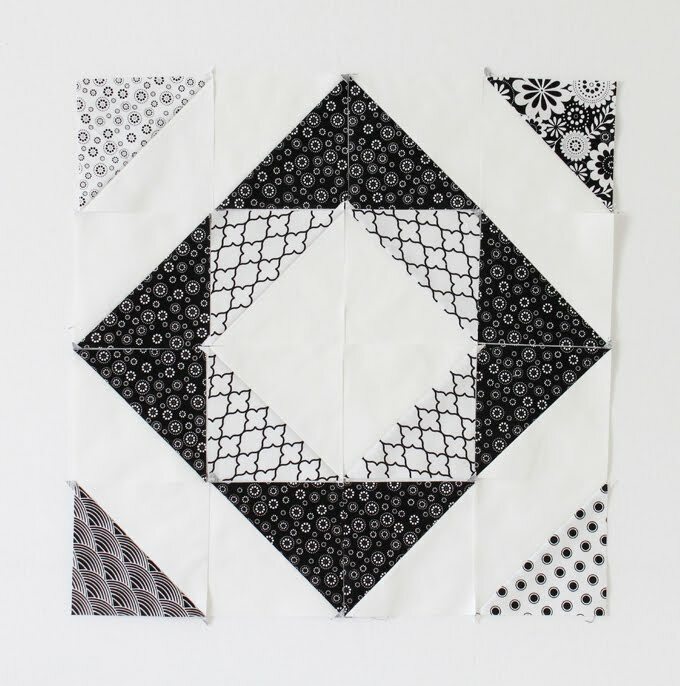 I love a black and white quilt - have one on my list to make someday. It's beautiful! Good job, Andy. 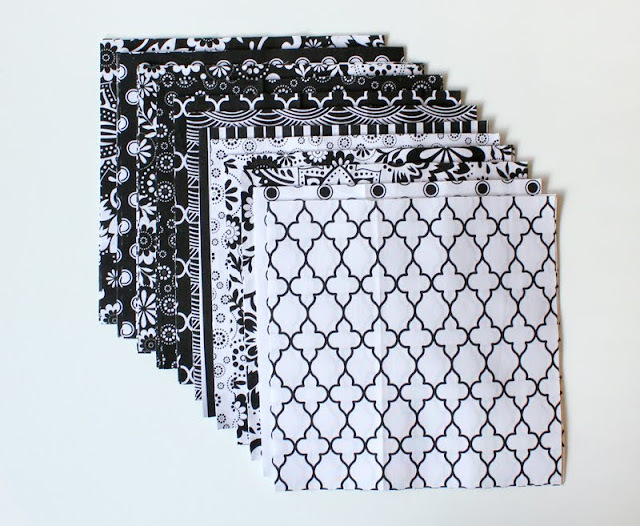 I have been thinking about doing a black and white quilt with HST too. Yours turned out beautifully. 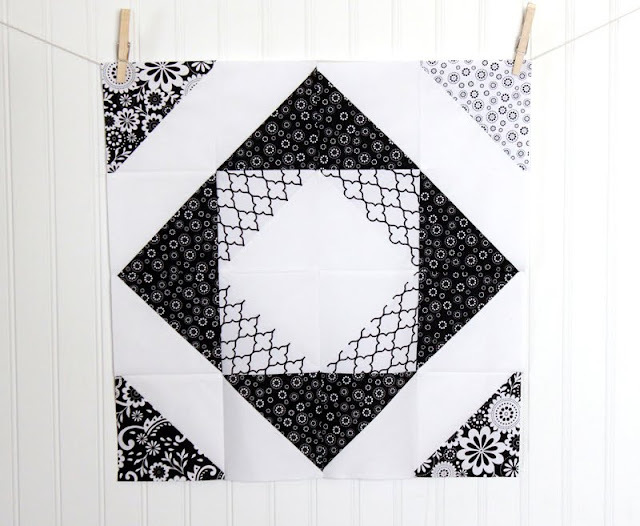 Love the black and white quilt! I love geometric designs that produce a secondary design. Could this be done with 10" layer cake??? Love the contrast! Hi Mary - you sure could! You could either trim each layer cake down to 8" square to follow the pattern exactly, or use the layer cake squares as they are (10" square) and cut the white / background fabric squares to the same size. 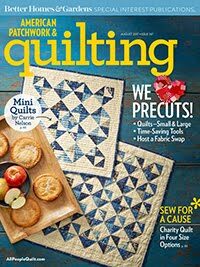 The half square triangles would be slightly larger, and the finished quilt would be larger too but that's a quick way to get your squares cut - great idea!